Back in June, Google quietly launched Triangle, an app to track which apps used mobile data on your Android device and restrict unwanted consumption. It’s now got a new name – Datally – and is available on Google Play globally. While Triangle was designed to give you control over apps to prevent them from chewing through your data plan – both during active use and while running in the background – Datally (a play on De Talli, which means ‘high five’ in Hindi) tacks on a public Wi-Fi Finder that will guide you to locations where you can hop online for free. To get the most out of Datally, you’ll want to monitor which apps consume the most data, especially those that run in the background, and either restrict them, or ditch them and try alternatives. Additionally, hopping on Wi-Fi when it’s available near you could help you conserve your mobile data for when you need it most. 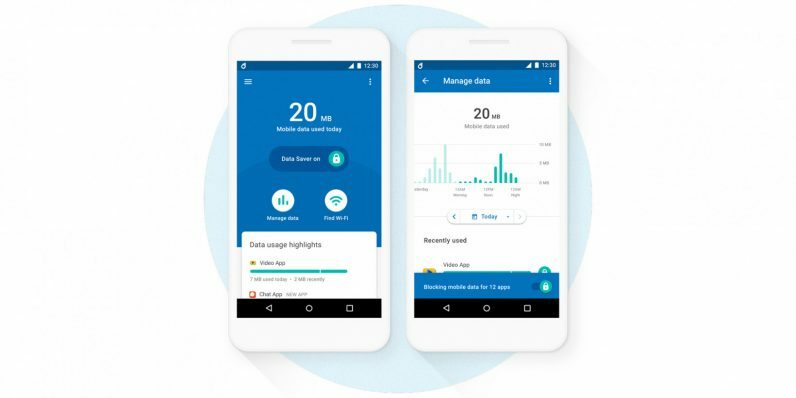 FactorDaily notes that Google had been testing its data saver app in the Philippines, along with an additional feature that offered users free data in return for using certain apps. However, owing to the challenges in getting carriers and developers to play nice together to do so, it’s holding off on bringing this to India for the moment. Datally is the latest product of Google’s Next Billion Users initiative, which aims to make it easier for people in developing markets – especially those going online for the first time – to experience the mobile web with products designed to meet their needs and challenges. For users who are conscious of how much they spend on data, the company previously launched YouTube Go, a variant of the video platform’s main app, with additional features like the ability to download clips for offline playback; it also released Files Go, a free file manager that lets you share content stored on your phone with anyone else without the need for an internet connection. Give Datally a go by grabbing the free app on Google Play.